Every year people of Thailand observe King Taksin Memorial Day on December 28. 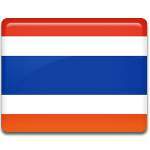 This national holiday celebrates the coronation anniversary of Taksin in 1767. King Taksin reigned Siam from December 28, 1767 to April 6, 1782. Although his reign didn't last for too long, Taksin is remembered for his efforts of liberation of Siam from Burmese occupation and its subsequent unification. Most of Taksin's attention was drawn to the warfare, because he had to repel new Burmese invasions and subjugate the northern Thai kingdom of Lanna, threatening Cambodia and the Laotian principalities. Despite constant warfare King Taksin paid much attention to politics, economy, administration and welfare of the country. He promoted foreign relations with China, the Netherlands and Britain. He built roads and dug canals, made numerous attempts to revive culture, painting, literature and other branches of arts and restore temples. King Taksin is remembered as one of the greatest kings of Siam, but at some point he became a religious fanatic. His “insanity”, as it's described by the contemporaries, led to decline of trade with China. The Kingdom of Siam needed a strong ruler, but Taksin's policy rose only discontent. He was deposed by a coup, led by his long-time friend Maha Ksatriyaseuk, who then assumed the throne and founded the Rattanakosin Kingdom and the Chakri dynasty, the present-day ruling dynasty of Thailand.